Deadbeat Retreat #3 is in the books. 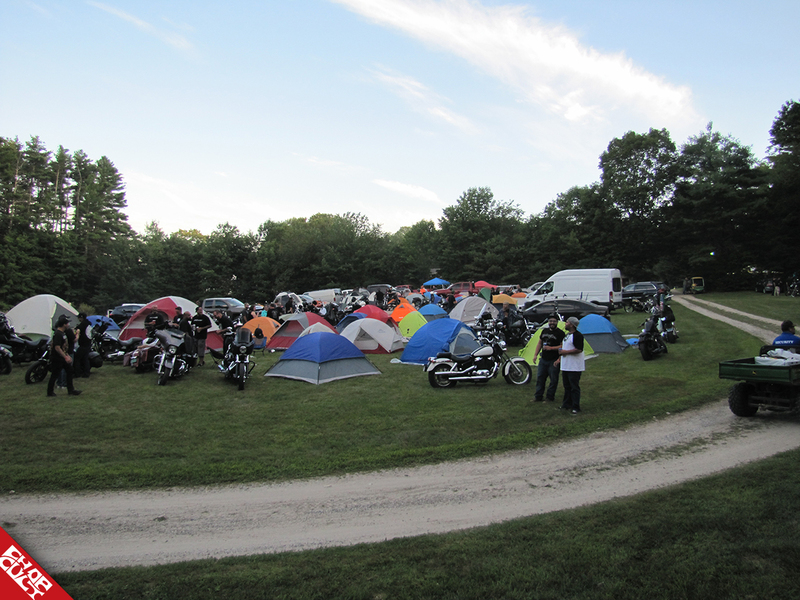 The weather could not have been any nicer, and the turnout doubled from last year’s event. 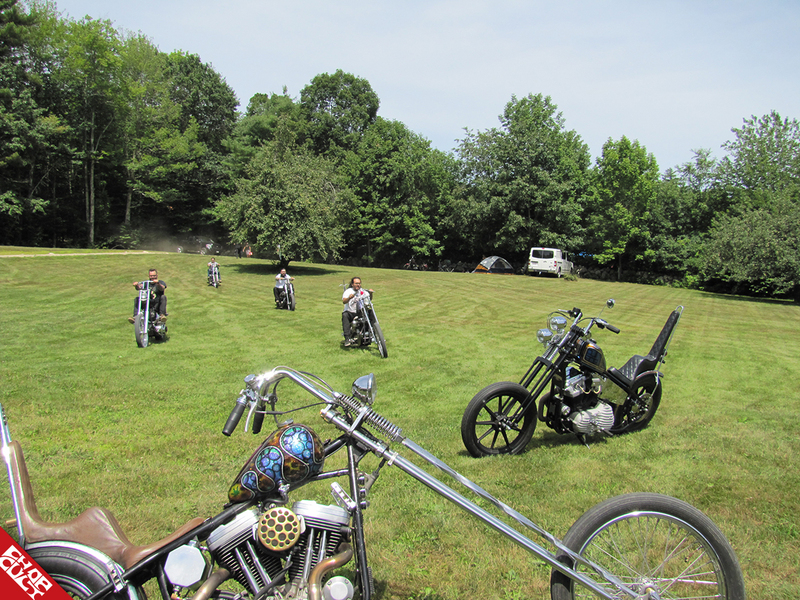 The New England chopper scene is thriving. The custom bikes at this show were an excellent representation of regular guys building choppers in their garages or small shops. You could see the dedication and pride that went into every build. None of these bikes were built by just throwing money at a catalog. Talking with some of these builders was a pure joy as each bike had a storyline full of trials and tribulations. A lot of these bikes were being built with the intention of making it to this show in particular. There were bikes representing each state from New England, and even outside the region. The majority of the builders rode their bikes to the show. Add to the mix vendors, live tattoo artists, pinstriping, prize giveaways, water slide, motorcycle games, camping, and bands rocking out on the outside stage, and this was one hell of an event. Congratulations to The Eazy Company's, John Repetto and Craig Kenyon for taking home the best chopper award. The award was a handmade wood-burned sign that was an absolute work of art by local New England artist Lisa Marie From Howling Noon signs. Steve and his crew from Deadbeat Customs did an excellent job of putting on a great event. Be sure to follow their blog, Facebook, and Instagram for updates.